Process planning plays an important role as a bridge between product design and manufacturing. Computer-aided process planning (CAPP) has been actively discussed in this half century, and numerous works have been conducted. To meet recent strong requirements for realizing agile manufacturing, a set of flexible process planning methods have been developed. Those methods dealt with process planning only for one product and generate the optimal plan which achieves the shortest total machining time. However, in real manufacturing, multiple workpieces are machined with multiple machine tools in the same period, and pursuing the shortest machining time for each workpiece may result in poor productivity. This research aims to enhance those methods from the point of view of total productivity. 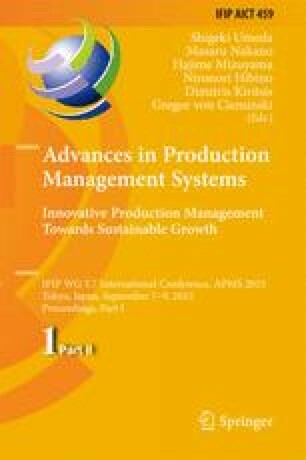 Selection of the optimal process plan in the conventional methods and production scheduling were merged and then formulated as a 0-1 integer programming problem. This method was applied to a simple example and its potential was shown. We thank MAZAK Foundation for its financial support.